This house is so cluttered. I have no idea how to organize my life and my house. I really need to figure out what I want to keep and what I want to get rid of. Yep, we have all said these things. I was done with saying these things and actually doing something about it at the end of 2017. I had to make a change or else I was going to go crazy! 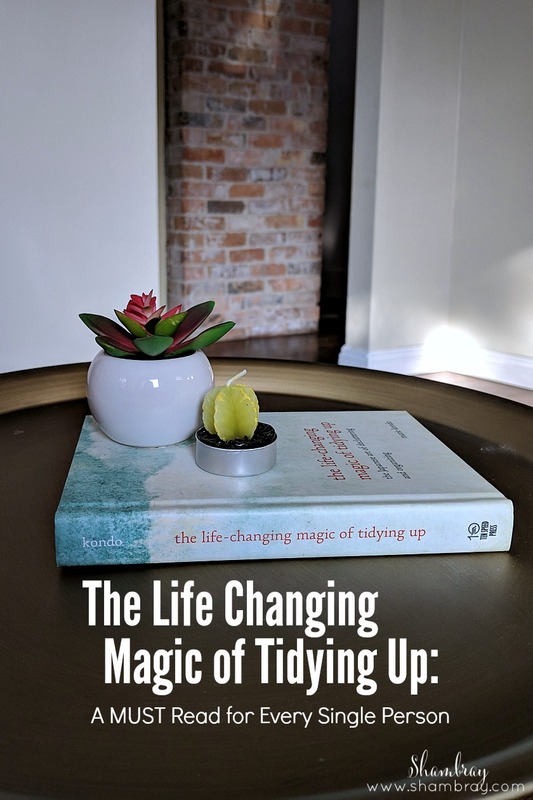 I had read The Life Changing Magic of Tidying Up earlier that year and it was ACTUALLY life changing. 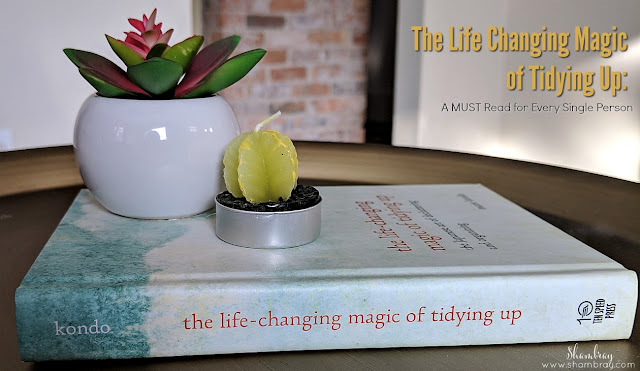 So I decided to act on that book and put together a decluttering challenge for myself. 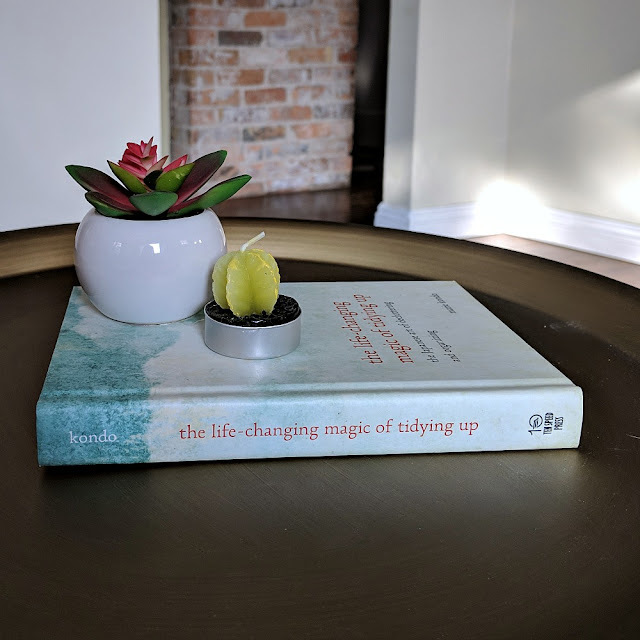 When I mentioned that I wanted to do it to my readers and followers on social media I was overwhelmed with the amount of people that said, "Please do it with your readers so I know what to do and can use you as inspiration." So I started a Facebook group and we started a decluttering challenge for the first 6 months of 2018. I will go into more detail about that challenge and how you can do it for yourself. I can promise you that it will transform your life and your thinking. You will not look back and you will be so happy that you did it. However, first I need to talk about the book that started it all. I truly believe that The Life Changing Magic of Tidying Up is a book that needs to be read by every single person. It is so inspiring and so amazing that everyone should have it in their life. Although there are parts of this book that seem a bit extreme for me I don't laugh entirely at them because it is all positive stuff. I believe STRONGLY in the power of positive thinking. I have seen it work on me and on others. So when she talks about greeting her house although it is a bit much for me I understand why she does it. If we think of each of our possessions as living and breathing then we take better care of them. This also includes the homes we live in. I want you to know that about this book so you are prepared, because some people get turned off from it, but it is a matter of perspective. If you look at it in a different perspective then you won't give up on this book. Again, I only have amazing things to say about it. AND since I have put this book to practice I know that it works and I am so very glad that I did this a year ago. P.S. Have you seen the Netflix show that is called Tidying Up. It is a show where Marie Kondo goes around and helps others take the advice in her book. I first heard about it nearly a month ago from Jess with the blog Travel Through Text. (That is a must follow blog as well!) Anyways, you should start watching it if you haven't yet. It is a great way to keep up your motivation to start tidying your home.